The Federal Member for Forrest, Nola Marino said today that through local partnerships, LDATs provide evidence-based prevention activities to minimise alcohol and other drug related harms in their communities. 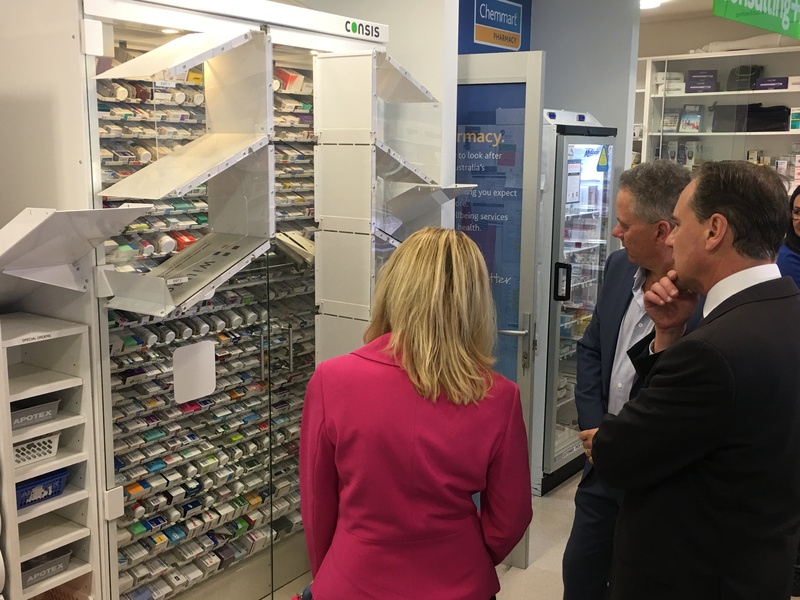 “The Liberal National government is committed to keeping Australian families and communities safe and through the proactive work of local LDATs, we are taking a preventative approach to tackling drug issues,” Ms Marino said. “This program helps people understand the challenges in dealing with these issues and creates a pathway to help them to address their issues,” Ms Marino said. The teams are supported by the Alcohol and Drug Foundation, which helps the LDATs develop and implement primary prevention activities in the community. Dairy farmers, processors and representative organisations are encouraged to take have their say to help shape Australia’s first mandatory dairy code in consultation in the South West on Thursday, November 15. Member for Forrest Nola Marino urged local farmers and stakeholders to take part and help improve contracts between farmers and processors. “We need farmers and processors in the South West to have their say and make sure the code will work for them and our local region,” Mrs Marino said. “So let’s not waste time – let’s get on with it,” Minister Littleproud said. “Consultations are the first step in the process, and the Department of Agriculture will be in town talking to local people about what should be in the code on November 15 at the Brunswick Town Hall from 10.30am and the Margaret River District Club from 6.30pm. 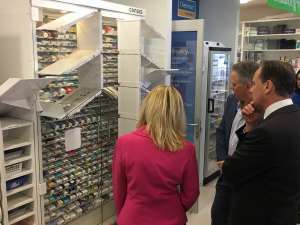 Federal Member for Forrest, Nola Marino, has welcomed two major new listings on the Pharmaceutical Benefits Scheme (PBS) which have the potential to extend the lives of patients in the south west with advanced lung cancer and those at risk of a heart attack, saving patients up to almost $190,000 a year. November is Lung Cancer Awareness Month and from 1 November, patients with advanced lung cancer will have the treatment Keytruda® subsidised for first-line treatment of metastatic non-small cell lung cancer (NSCLC). “Without PBS subsidy it would cost over $11,300 per script or $188,000 a year. Patients will now pay a maximum of $39.50 per script or just $6.40 per script for concessional patients, including pensioners,” Ms Marino said. Keytruda® is an immunotherapy medicine working with a patient’s own immune system to recognise cancer cells and destroy them. Clinical trials of Keytruda® for lung cancer has shown that some patients became virtually cancer free after treatment. The Coalition Government is also listing Repatha® from November 1 for the treatment of familial hypercholesterolaemia, which is a genetic high cholesterol condition. The independent Pharmaceutical Benefits Advisory Committee (PBAC) recommended the listings. THE team at headspace Busselton have welcomed the recent $51.8 million federal government funding announcement. Centre manager Marie Eckersley said it had been a relief to hear the news with the demand for services increasing each year. “Headspace is not just about counselling services it provides a range of support services including helping young people gain employment, increase their mental health awareness and physical activity, and improving relationships,” she said. “The funding I’m hoping we will receive, will go into expanding our clinical services, being able to put on more allied health staff, which would help decrease wait times because the demand has increased significantly – it just keeps going up.” Forrest MP Nola Marino said the funding backed quality frontline support for young people. “It is essential that Australians can get information, advice, understanding, counselling and treatment, when and where they need it,” she said. “This funding boost will help headspace meet the increasing demands for their services, today and in coming years. “Within our funding injection for headspace, $39 million will go towards services and staff while $12.8 million will ensure headspace National can continue to run eheadspace so young people can access support when they need it.” The additional investment is on top of the $95.7 million per year the federal government had already committed to 107 headspace centres.